We are a grassroots animal rights group campaigning to end the use of animals in research carried out by Oxford University. 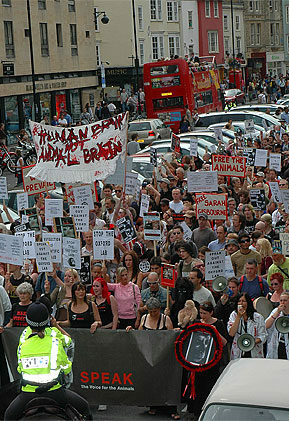 SPEAK is against all animal experiments on ethical grounds and is currently focusing on Oxford University due to the huge numbers of animals suffering inside the laboratories of this well known institution which can hold over 16,000 animals at any one time. In 2017 Oxford University experimented on 236,429 animals. SPEAK supports research that will benefit people and animals. We are in the vanguard of a movement dedicated to ending the reliance on animal experimentation in favour of 21st century technology instead of wasteful and harmful research.